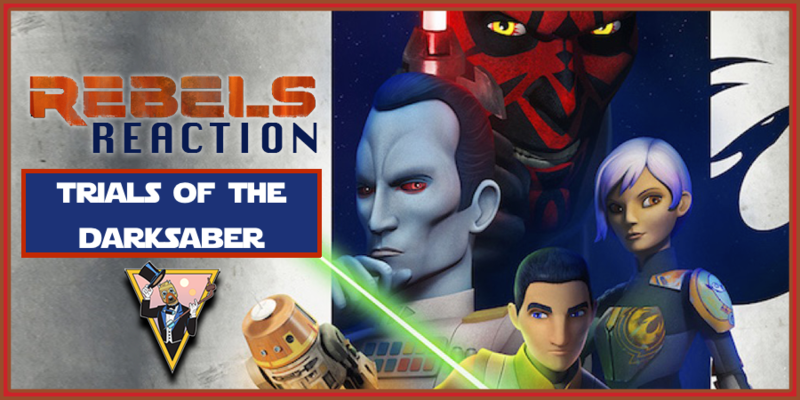 Welcome to Rebels Reaction, the show where we recap and react to the latest Star Wars Rebels episode. On this episode we react to S03E15 - Trials of the Darksaber. Sabine's Hero's Journey starts here! In an interesting exploration of Sabine's past and Mandalore we see several harsh confrontations that must happen in order for Sabine's story to move forward. We get some great background on the Darksaber itself. It'll be interesting to see if we get more on the lore of this mysterious saber as we move forward in the Star Wars story overall. (As an aside, I'm especially curious of how it plays with the information we learn about Kyber Crystals in the Ahsoka novel or if this crystal is completely different.) We also get more information on the conflict that Sabine has with her family. The episode is very different from just about any we seen thus far, but it is a good one! The conflict in relationships, within Sabine herself and the looming confrontation that is likely to come all make for a heavy and fascinating episode. Can't wait to see how Sabine takes on the leadership role that she spend much of the episode avoiding.